Roofs, although taken for granted, are important aspects to our everyday lives. Not only do they protect us from external weather conditions but they also “house” us and provide us with a sense of security whether it be in the form of an office from which you conduct your business, a home or even large-scale developments such as warehouses, roofs have an extreme importance. 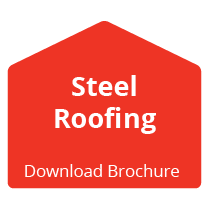 The life of your roof is something that needs to be properly understood and monitored in order to ensure you are getting the most out of your choice in roofing material and roof design. We at Dezzo Roofing have put together a few tips and considerations to take into account and make use of in order to help extend the life of your roof. These are guaranteed to help you to ensure that your roof is well-maintained and a cost-effective choice. Firstly it is important that you regularly inspect your roof and stay observant and attentive when it comes to each inspection. Inspecting your roof for damage, whether it be large-scale damage such as tree-fall damage or small-scale such as moss or algae damage, is the first step to extending the life of your roof. Being on top of your game and making sure a professionally trained company inspects your roof at least twice a year is important to preventing damage or destruction before it occurs. By conducting each inspection in an attentive and vigilant manner, the roof specialists are able to identify issues or areas that may lead to problems in the future, and they can help you deal with these effectively before they destroy or decrease the longevity of your roof. Secondly, cleaning your roof plays an imperative role in extending its lifespan. Although large-scale roofs are often difficult to reach and clean, it is vital that your roof is cleaned by professionals as they have the skills and know-how to clean various roofing materials. Professional contractors will ensure that your roof is cleaned with the appropriate equipment – both for safety purposes and cleaning purposes – as well as cleaning agents that are effective but do not cause damage to your roofing material. 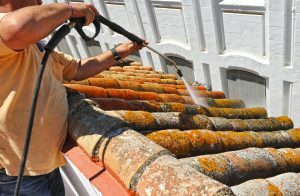 By keeping your roof clean and free of moss, debris and algae (which feed off the materials found in limestone and roof shingles) you are able to prevent and treat the roofing material appropriately so that you are not exposed to harmful bacteria that can be damaging to your personal health as well as the health of your roof. Leading on from the above-mentioned point, knowing your materials is the next important tip to remember. 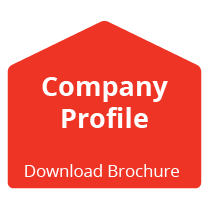 Although you may not be a guru when it comes to anything building related, it is important that you know and understand which materials are used in roofing in order to determine your requirements. By paying attention to these materials you will benefit in a number of ways, firstly, it enables you to stock up on extra materials should you come into an emergency such as a leak or tree-fall damage and need to make a temporary repair until the professional contractors can assist. Alongside this, knowing what material is used will assist you in understanding what can be used to fix or clean your roof in an emergency situation should the need arise. Removing debris, moss, algae or leaves is another important tip we at Dezzo Roofing find central to the life of your roof. Remember, moss and algae are masses of bacteria that will spread into an uncontrollable mess if not identified and prevented or treated in a certain time frame. That is why regularly inspecting your roof and removing any debris that may have collected during a storm or over time, along with any moss or algae is important. Trimming back tree branches is another way to prevent unwanted debris from collecting on your roof whilst at the same time ensuring that your roof is safe from damage during rough winds or storms that may cause large branches to fall or penetrate your roof. All a bit overwhelming? Fear not, we at Dezzo Roofing pride ourselves on our care and concern, not only for our client’s roofs but their safety as well. Should you require an inspection of your roof or any assistance when it comes to your roofing needs, give us a call or visit our website for more information on the products and services we offer as an expertly trained and professional roofing company.